This obituary originally appeared at publishersweekly.com. 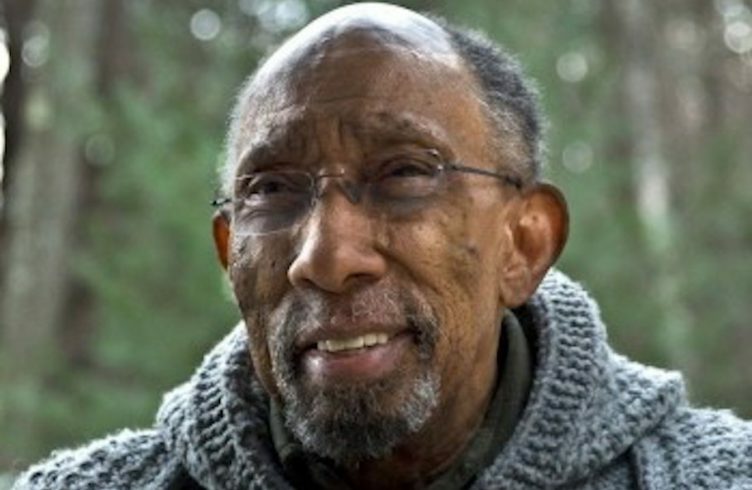 Award-winning author, educator, activist, and musician Julius Lester, known for a body of work focused on African-American culture, history, and folklore, as well as for his fierce advocacy for books for black children by black creators, died on January 18 after a brief hospitalization. He was 78. Lester was born January 27, 1939 in St. Louis, Mo., and grew up in Kansas City and then Nashville, where his family moved in 1954. In a 2002 article for School Library Journal, Lester noted that during his youth he was witness to racial segregation and discrimination and was well aware of the violence that they wrought. His father was a Methodist minister, and Lester has said that his father’s sermons and stories gave him a firm foundation in black traditions. He also cited the summers he spent in rural Arkansas on his grandmother’s farm as another source of stories and voices that helped cement his appreciation of his heritage and encouraged his development as a storyteller. Lester stayed in Nashville to attend Fisk University and graduated in 1960 with a B.A. in English. Shortly after he finished college, Lester moved to New York City and in the mid-1960s became active in the civil rights movement and other activist causes, including the Student Non-Violent Coordinating Committee (SNCC), which largely focused on fighting racism. Some of his earliest professional work in New York was performing as a folksinger and teaching guitar lessons. His first published book, which came out of that experience, was an instructional manual co-authored with folk legend Pete Seeger, called The Twelve-String Guitar as Played by Leadbelly (Oak, 1965). At the same time, he began to focus on other writing, publishing numerous magazine articles about his activism. Among his major efforts in those years was participation in the 1964 Mississippi Summer Project. His experiences during “Freedom Summer” were documented in a 2014 documentary, “The Folk Singer,” airing as part of the American Experience series on PBS. Lester also traveled to North Vietnam with SNCC to photograph and write about the damage caused by U.S. bombing missions there. Back at home in New York, Lester hosted a radio talk show from 1966 –1973 called Uncle Tom’s Cabin, and from 1969–1971 he also hosted a TV talk show, Free Time. As his reputation grew, Lester wrote his first book, Look Out, Whitey! Black Power’s Gon’ Get Your Mama! (Dial, 1968), which he characterized as the “first book about the black power movement by someone inside the black power movement,” during an interview with Publishers Weekly. It was the editor of Look Out, Whitey!, Joyce Johnson, who suggested that Lester try his hand at children’s books and offered to introduce him to the children’s editor at Dial, Phyllis Fogelman, then editor-in-chief of Dial Books for Young Readers. Once that door was opened, according to an interview with Something About the Author, Lester said he “told the children’s book editor about my idea of using the words from former slaves to tell the story of slavery.” That idea became To Be a Slave (Dial, 1969), which received a 1970 Newbery Honor and launched a longtime editorial relationship. Many of Lester’s picture books were inspired by his passion for and expertise in folklore. He received wide critical acclaim for retellings described as accessible, entertaining, and respectful to African-American culture. He produced four volumes of Uncle Remus tales starring wily Brer Rabbit, and Sam and the Tigers: A New Retelling of Little Black Sambo, all published by Dial and illustrated by Caldecott Medalist Jerry Pinkney. Pinkney and Lester also collaborated on several other titles, including the tall tale John Henry (Dial, 1994; a 1995 Caldecott Honor Book) and Black Cowboy, Wild Horse (Dial, 1998), an introduction to real-life cowboy Bob Lemmons, who had been born into slavery. A versatile and prolific writer, Lester also wrote several young adult novels and books for adults, which later in his career often focused on his religious beliefs as a convert to Judaism. In all, he has more than 40 published titles to his credit. And, outside of his books, Lester contributed reviews, articles, and essays to a variety of publications, including The New York Times, the Nation, the New Republic and the Village Voice. As an educator, Lester was a lecturer at the New School for Social Research in New York from 1968–70, before joining the faculty of the University of Massachusetts in 1971 and holding several positions, including professor of Afro-American Studies and professor of Near Eastern and Judaic Studies before his retirement in 2003.